As I write this our friends Ivan and Anne are motoring north from New York City with their kayak on top of their little car. We are going to have a weekend of fun. Tomorrow we are going out to kayak and a picnic at an estuary that flows into the sea and on Monday we are going sailing with another dear friend in her 80's who has a summer house on the water. We start the weekend at a birthday party for a dear friend tonight. The weather will be accommodating at it is now in the mid-70's, a perfect Maine weekend is ahead of us. I was just outside cutting up some pieces of wood that we recently got and our 5th grade neighbor girl helped me move it all onto our big wood pile that will need to be stacked in the spring. Our little friend spent the night here last night after we took her out for pizza in reward for her exceptional efforts to work with Mary Beth throughout the summer on her reading. This morning she and MB made pancakes. Since MB never had kids the little gal is a joy in her life - and mine too. Yesterday we had to pull up all of our many tomato plants that had been stricken with the blight. It was the most bountiful tomato crop we've ever had and it broke all of our hearts to have to destroy them. I was able to salvage a big bowl full of green tomatoes so I intend to cook them up in the next couple of days - nothing better than fried green tomatoes. The man is both nuts and a habitual liar, all at the same time. Tell me the corporate right-wing is not out to divide America against itself. This is a truly interesting documentary about US prisoners of war during the Korean War. It tells the story of American GI's who became war resisters and some who moved to China after they were set free at the end of the war. A must see for anyone interested in the Korean War or the history of GI resistance to war. I got an email this morning from Sung-Hee Choi in South Korea who has translated with subtitles the video of the question and answer session after my last speech in Seoul. This was the speech to church leaders. 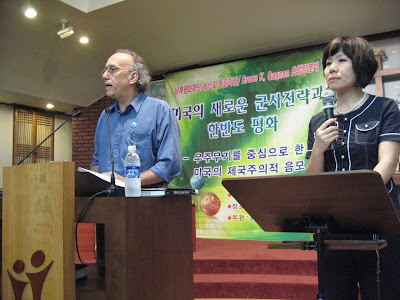 It might be interesting for you to see what the Koreans had to say following my talk. Because I am so long-winded she had to break the Q & A into six different sections. You have to click on each new segment after each one finishes. I must thank the Rev. Yani Yoo for her translation of my words at the church....it is really hard work to concentrate on that task for almost two hours without a break. We just had a visit from the Buddhist monk Rev. Gyoway Kato who is with the Nipponzan Myohoji order that does peace walks all over the world. He is based at Leverett, MA. and is planning a peace walk for a Nuclear Free Future and conversion from a war to a peace economy in the spring of 2010. The walk will begin in Burlington, Vt on March 20 and come to Maine on March 24. 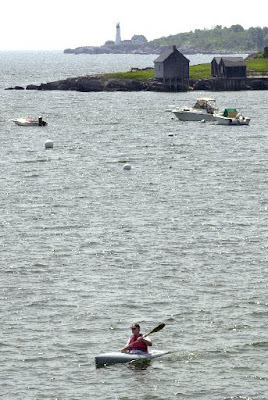 From Maine the walk will head south and arrive in New York City in time for the international protest on May 2 that will call on the nuclear powers to honor the UN's Non-Proliferation Treaty (NPT) that demands nuclear disarmament. Activists are coming from all over the world for the NPT Review Conference events at the UN in early May. The folks at the Addams-Melman House in Bath have volunteered to be Maine coordinators for the walk as it passes through our state from March 24-April 1. Our job will be to promote the walk, find local hosts for housing and pot luck suppers each night of the walk, and to organize protest vigils at key military facilities like BIW, BNAS and Saco defense as the walk reaches those communities. The walk is also inviting peace and church groups in Maine to sign on as co-sponsors. No funds are requested, just a serious commitment to promote and support the walk. Please let us know if your group or church would like to be listed on the walk flyer as a co-sponsor. Below is the current schedule for the walk (still subject to some minor adjustments). 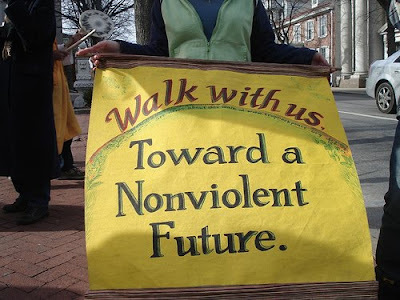 The peace walk is expected to travel about 15 miles per day. There will be no cost to walk. Walkers will bring mats and sleeping bags and sleeping on church floors or private homes will be arranged. It is hoped that local host groups will arrange a pot luck supper and program each night and breakfast in the morning for the walkers. It is likely that about 15-25 walkers go the whole distance with others joining the walk along the way for a day or more at a time. Rev. Kato said that he does not want this to be an "exclusive" Buddhist walk but instead would like to invite people from many faith traditions to be involved. He would also like to invite people from all life paths to feel invited to join this peace walk. There will be two other walks happening at the same time, also organized by Nipponzan Myohoji. One will start at Oak Ridge Nuclear Laboratory in Tennessee and the other from Buffalo, New York. Each of the three walks will then meet in New York City on May 2. I have organized many of these peace walks, working with the Nipponzan Myohoji order, when living and working in Florida. They are a wonderful group of people to work with and the walks are life changing experiences for many people. Each Wednesday, when I am around, I do a two-hour radio show at the Bowdoin College radio station in Brunswick from 6-8 pm (EST). 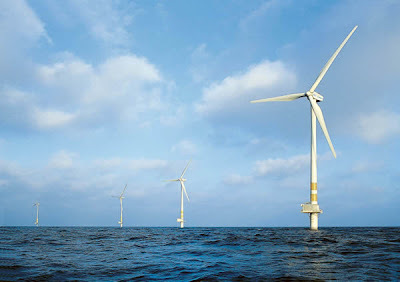 Tonight co-host Peter Woodruff (worker at Bath Iron Works) and I will be talking drones, Afghanistan, and we are always talking wind turbines....Peter's favorite subject. We'll play lots of good political music and if I am lucky I can slip in a couple songs by The Kinks when Peter is not watching. We are always looking for good new political music so please send us some DVD's if any of you have any laying around collecting dust. Our local newspaper reported yesterday that the Navy has flown an Unmanned Aerial Vehicle (UAV) into our community for a week-long visit. This is nothing more than a public relations effort to promote the idea that the Brunswick (Maine) Naval Air Station, set for closure in 2011, could be turned into an "Unmanned Aerial Vehicle Test Center." The Times Record article extensively quoted me and another local peace activist and ended with a revealing statement from Maine's commissioner of economic and community development, a guy by the name of John Richardson, who is planning to run for governor in our next statewide election. Just days ago one of our key peace movement leaders in the state reported that she had talked with Mr. Richardson and he said there was no plan to use the closing base as a UAV test center. Politicians do deceive. In the news article Richardson says, "There are many adaptive uses of UAV's that could be very helpful to the nation and then to the world. I wouldn't cast out of hand UAV research or testing, because of the potential benefits to the nation in the areas of search and rescue, air and water quality, homeland security and even forest fire prevention." How nice....how sweet. So that is what the US has been doing with our UAV's in Afghanistan and Pakistan....checking on water quality? 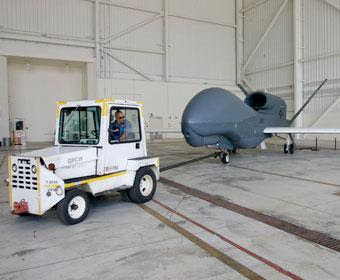 In the interview Richardson, a Democrat and former speaker of Maine's House of Representatives, noted that the Global Hawk drone that visited Brunswick is a surveillance craft, "which is different than the drones that drop bombs." We know that the fledgling aerospace industry in Maine is drooling at the prospects of using the closing Naval Air Station as a drone test center. They have formed a committee to push this project and have developed a relationship with the University of Maine to begin offering an "aerospace industry" class at the institution this fall. In one video of the aerospace committee that I recently saw they were excited about the fact that the Pentagon is moving from expensive fighter aircraft to cheaper UAV's for war fighting. The aerospace committee was predicting that this was a "growth market" and that Maine needs to get in on the ground floor. Someone is going to make some big money they were saying as they rubbed their hands together. In the article I was quoted talking about the UMASS-Amherst Economics Department study that points out that military spending is capital intensive while every other kind of job creation is labor intensive. Since the base closure is causing much distress about job loss in our community it was important to get that information into the news article. Fortunate for us the newspaper ran the story at the top of the mast on the front page. It will now be crucial that the peace movement in Maine respond resoundingly to this trial balloon that was floated by the "visit" of this UAV to Brunswick. We are suggesting that Mainers call the town of Brunswick at 725-6659 to lodge your disagreement with the idea of turning the Naval Air Station into a UAV Flight Test Center. Since the state is at some level going to pay for redevelopment of the base this is a legitimate statewide issue. Because the UAV market is expected to be so huge globally we are beginning to hear from activists in other places who are facing this same issue. The Campaign for Nuclear Disarmament in Wales is reporting that a UAV development operation is going to be set up in their country. And interestingly enough, it is being similarly sold as a "civilian" use. I was later told that my very able translator got it just about word for word. One embarrassing moment was when I knocked my water bottle over onto the podium and had to wipe it up as I spoke. It was a very hot night and I later told Sung-Hee I did it on purpose because I needed to cool off. She told me that made sense because my Chinese sign is the water dragon. Very interesting short Real News documentary report on the Reston, Virginia town hall with Dr. Howard Dean and Rep. Jim Moran and 2,000 pro- and anti-health care reform participants. We had our monthly pot luck supper here at the Addams-Melman House yesterday. 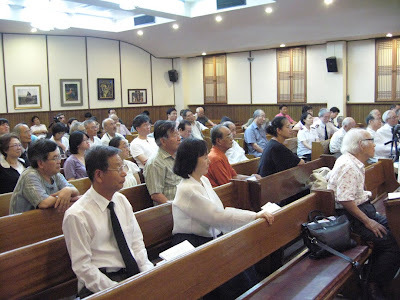 About 35 folks came to hear me report on my trip to Japan and South Korea. Lucky for us activist Kathy Kelly is in Maine, visiting some Iraqi families now living in Portland that she met some time ago in Jordan, so she joined us and talked a bit as well. 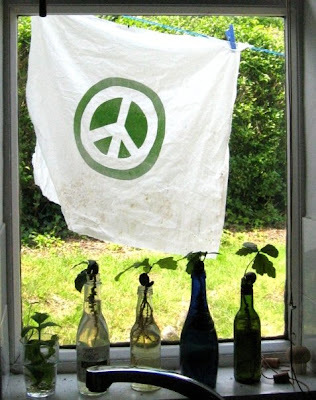 Despite all those who are trumpeting the death of the peace movement, I can attest to it still being alive, certainly battered and bruised, but still breathing and in many places inside the US and around the world, still kicking up a storm. Many have not turned their back on the war machine on steroids and gone back to playing tennis and the local bridge club. Believe it or not, there are still many who are active and are pushing forward. Cindy Sheehan just brought together folks on Martha's Vineyard to stand in the face of Obama while he was on vacation. The importance of her action was to lay claim to the fact that an alive peace movement must be able to criticize the Democrats when they are promoting war just as we criticized George W. Bush when he did the same. I ended my story telling from Japan and South Korea last night by repeating the words of a 12-ish year old girl I heard speak at the Mayors for Peace conference in Nagasaki. She said, "We might be weak but we are not helpless." That's right....the peace movement might be down, but we are not out. We might be soiled and battered but our cloth is still holding together and we are flapping our tired but determined wings in the late summer breeze. The tide comes in and goes out......the peace movement will rise again......soon. Our rise will come when we offer an alternative vision for the future to a public who is casting about looking for answers to the fears of job loss and economic collapse. Endless war is not a viable answer and the people are beginning to understand that.....but what are we offering as vision in place of non-stop war? We must all do more to connect militarism to economic downturn, we must show that military spending is indeed bad for the global economy. Conversion of the global war machine creates jobs and helps to solve for climate change. We still have breath in our lungs and some bounce in our step. Let's keep using it to make sure the future generations have a chance on our Mother Earth. 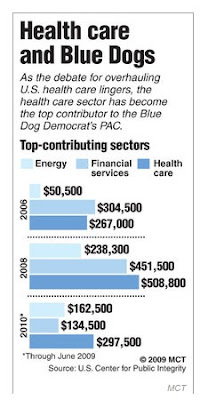 The Blue Dogs, the conservative Democrats in Congress, are the ones holding up "health care reform". They, along with Obama, are obviously under the sway of the health insurance industry. You can blame the Republicans all day long for obstructing the process but when it comes down to counting the votes you have to first count the cash. The Blue Dogs are the ones holding up this show. They claim they are "fiscal conservatives" but when it comes to taking $$$ from the corporations there is nothing conservative about them. Money still runs Washington. The corporations don't mind funding the Democrats to get what they want. In the last election the military industrial complex gave Obama and the Democrats more campaign donations than they gave the Republicans. The result, Obama asks for and gets a 4% increase in military spending in 2010 from the Democratic controlled House and Senate. He gets more money for war in Afghanistan. Until we get a third option for the voters nothing much will change in America. Until the public stops falling for the good cop - bad cop (Republican versus Democrat) game nothing much will change. In these moments I like to remember what former professional wrestler (and former Minnesota Gov. Jesse Ventura) said about politics. I saw him on TV a while back saying that politics in America was like TV wrestling. While in the ring the two wrestlers snarl at each other and when the match is over they go about for a beer and a good laugh. The Republicans and Democrats, Ventura remarked, are pulling the same act - ultimately to the benefit of the big corporate money.